At Cross Resource Group, who we serve and the relationships that are built are at the heart of what we do. We realize that each of our clients’ needs are unique and we approach each new opportunity as a chance to utilize our past performance to our clients advantage, while never losing the chance to develop and deliver new innovative concepts. Our team understands that true value to our clients bring together best in technology, superior processes, and the best professionals. Cross Resource Group has partnered with and is a sponsor for Mission Regan. Our Team recently helped with Hurricane Harvey relief and now working on relief for Puerto Rico. To be rated as one of the best and most reliable recruiting firms in terms of quality, commitment and deliverance to our customers. In 2006, Lana founded and established Cross. Her goal was to establish an organization that provided best in class service, at competitive rates while providing the best service in our industry. Many years later, we still strive to provide those standards. It is through Lana’s commitment to service that Cross has become recognized as one of the 5 largest Women Owned Business in Collin County, and has been recognized by Inc. magazine as one of the 5000 Fastest Growing Private Companies in America. Lana has not only led Cross to remarkable growth over the last several years, but she is a strong community leader as well. Jimmy Hamilton has spent over 17 years as a Staffing/Consulting Industry leader. Prior to founding Cross Resource Group, Jimmy partnered with Allegis Group as a Regional Account Executive for AeroTek-Aviation Division. Jimmy was brought into Allegis Group to grow and build divisions, which he did successfully in 6 different areas, most notably in founding and building the Aviation division where his division provided Program Solutions for clients which included: Raytheon, Lockheed Martin, Boeing, and L-3 Communications. Mark has spent more than 17 years in the Consulting/Program Management arena. He has been responsible for building customized solutions for his clients in multiple verticals to include: Financial Services, Government Services and Health Care. He joined Cross Resource group in 2008 after leaving CDI IT Solutions where he was the Southwest Regional Manager of their IBM Business Solutions Group. Mark has spent his career building programs and innovative solutions for his clients on a local, regional and national level. We have a goal to recruit Veterans and educate our clients about the qualified Veterans available to work in the current marketplace. We work with our clients to establish quantitative goals for the programs and projects we staff. When you partner with us, we establish appropriate expectations for delivery for all programs and projects. We individually track goals and we have achieved more than 100% of our targeted goals on each program we have implemented. Most recently we managed a three state multi site project, and were successful in achieving more than 50% staffing success of former Veteran staff for through the duration of the project. 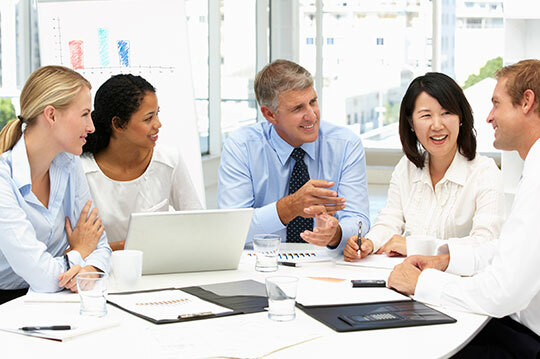 Cross Resource Groups staff is focused on meeting a company’s individual cultural and business needs. No preconceived notions or cookie cutters—only carefully crafted solutions designed to achieve specific hiring goals and objectives. With a full range of solutions, we give you the flexibility you want at the pace you demand. Are you an experienced professional looking for change and don't see the role for you? We invite you to submit your profile to our Talent Community for consideration of our confidential searches as well as for future opportunities. We look forward to connecting with you.